On 6 December, LDD Kyllikki continued its tradition of an Indepence Day Inspection for the troops. Ylik Sahuri was awarded with Vapauden Risti 4th class. 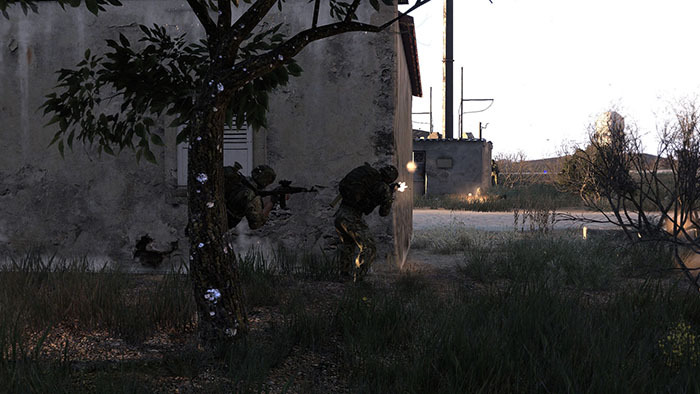 Over the years, ylik Sahuri has effectively modified how the Recon Team operates and fights. This has resulted in the Recon Team having one of the best survival rates during operations regardless of them being surrounded by the enemy and cut off from friendly forces most of the time. Stm Remareiska was promoted to Korpraali (korpr). Alik Haba and korpr Naatti were awarded with Kuntoisuusloma (KL) for exemplary service. Ylik Sahuri was also awarded with the 5-year Service Ribbon in recognition of his long and active service. After the inspection, LDDK performed a daring raid to a local airfield, after which it assaulted a local castle in order to eliminate the enemy command within. The mission was a success. Pionjaer has been promoted to Sotamies (stm) and assigned to the Jaeger Squad as an Engineer. Congratulations! In mid-October, a squad meeting was held near Joensuu in a lake cottage, far away from civilisation, close to Finland's border with Russia and only 6,300 km from the border of North Korea. The late autumn weather was surprisingly pleasant, making outdoor cooking and activities possible. The lake and the sauna, having a temperature difference of roughly 100 degrees Celsius, were in heavy use on each day. Naatti, Ukkapukka, Psykoisi, Sami, Broileri, Charlie Frank, Sahuri, Kuokkanen, Haba, Nollakaks, Kegetys, Peter North, and Shuko were awarded with Talkootyön Ansiomitali (TA) for participating. 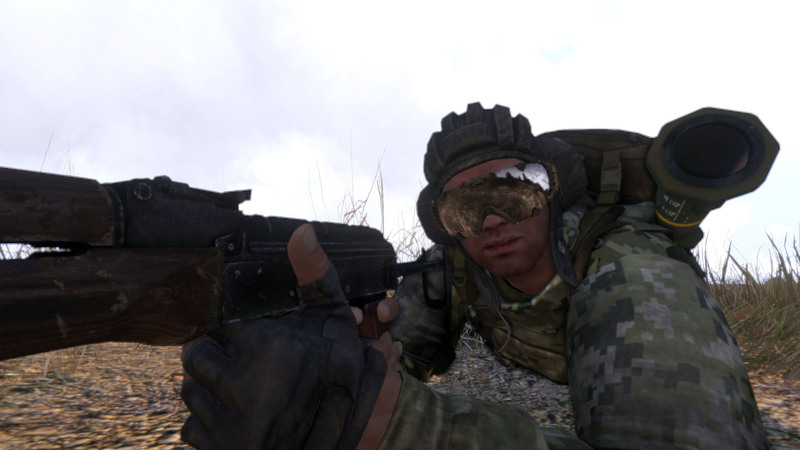 Nollakaks has been promoted to Sotamies (stm) and assigned to the Jaeger Squad as a AT Rifleman. Congratulations! Also Pionjaer has been recruited to LDDK. Welcome! Mikke has joined the Detachment. Welcome! The traditional summer squad meeting was held in Hangasjärvi area from 11 Jun to 14 Jun. Activities included long-range patrolling, woodstove cooking, board games, and swimming in the mildly cold lake. Psykoisi, Broileri, Kuokkanen, Charlie Frank, HaBa, Scottz, Peter North, Stellar, Ukkapukka, Naatti, Shuko, and Nouty were awarded with Talkootyön Ansiomitali (TA) for participating. Nollakaks has been recruited to LDDK. Welcome! 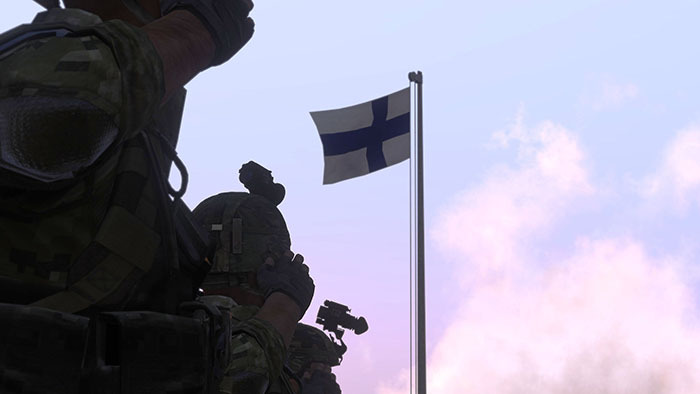 LDD Kyllikki held its traditional inspection on the Finnish Defence Forces Flag Day. Vääp Raunhofer was promoted to Vänrikki (vänr). Kers Charlie Frank was promoted to Ylikersantti (ylik). korpr Haba was promoted to Alikersantti (alik). Vänr Sami, ylik Kuik, alik Lufti, alik Stellar and stm Epa were awared with Kuntoisuusloma (KL) for exemplary service. 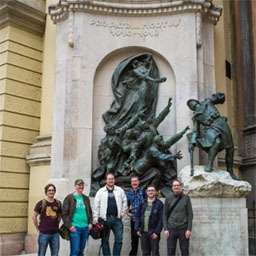 LDDK conducted a long range patrol with the strength of six detachment members in the Budapest area from 14 May to 17 May 2015. The unit operated successfully on the both banks of the Danube by liberating the Gellért Hill from a group of defenders armed with Canons, by trying to find unidentified underwater objects in the Gellért Spa and by supervising the area from the top of the St. Stephens Basilica. Also the quality of the local Pálinka fruit brandy was tested by a special task group. The patrol returned to the friendly lines exhausted but satisfied after a successful tour. 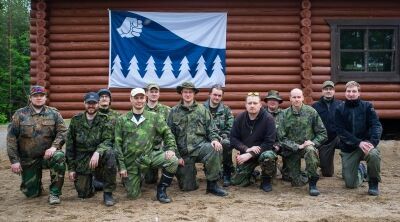 The traditional winter squad meeting was held from 13 March to 15 March in the small town of Kannus in Central Ostrobothnia. An active promotion campaign ensured the popularity of the visit, and local civilians welcomed the with mostly open arms. Small pockets of local resistance were met and subdued without bloodshed, and the presence of LDD Kyllikki was successfully established for the remainder of the year. Vääp Raunhofer, yliv Broileri, ylik KuiK, ylil Psykoisi, korpr Mika, alik lufti, ylik Sahuri, korpr Naatti, korpr HaBa, korpr Poppius, alik Scottz, stm Haaska, alik Kassu, korpr Sakinz, alik Strat, alik Stellar and stm Epa were awarded the Fallschirmjäger Ribbon with a KSK Insignia and Diamonds for participating in every mission. Korpr hammer, stm Remareiska , vänr Sami and kers Charlie Frank were awarded the Fallschirmjäger Ribbon with the KSK Insignia for participating in the campaign including the 1st combat jump and the bootcamp. Stm Arde, kers Kuokkanen, korpr Arto and korpr Ukka were awarded Fallschirmjäger Ribbon for participating in the campaign. 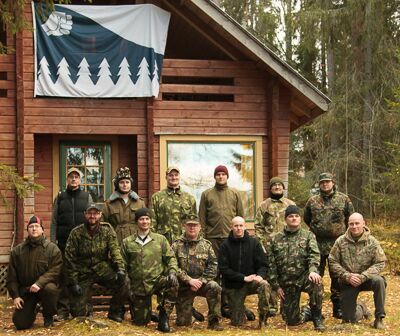 On 8 February 2015, the soldiers of Local Defence Detachment Kyllikki took part in a training mission especially designed to prepare them for the challenges of an upcoming operation. The skills and abilities of airborne forces would be soon required. 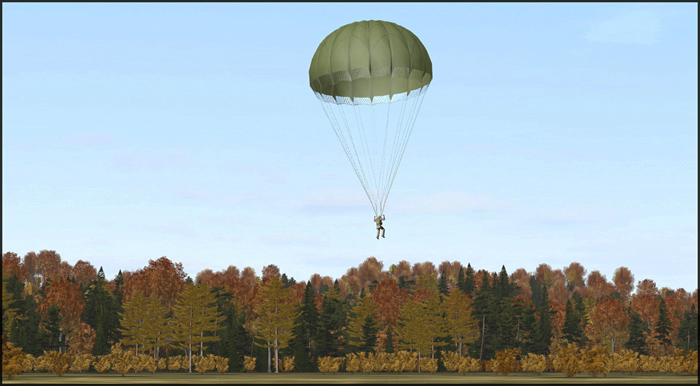 Training comprised parachuting, range shooting and fast-roping. The first of the three was conducted by boarding the whole detachment in an airplane and then jumping out of the plane in organized fashion, squad by squad. On the firing range, soldiers had to familiarise themselves with the weaponry of the German KSK that would be used in the upcoming missions. Fast-roping from a helicopter was conducted onto flat ground as well as onto the roof of a building. After basic training the detachment had to try their new skills in practice. 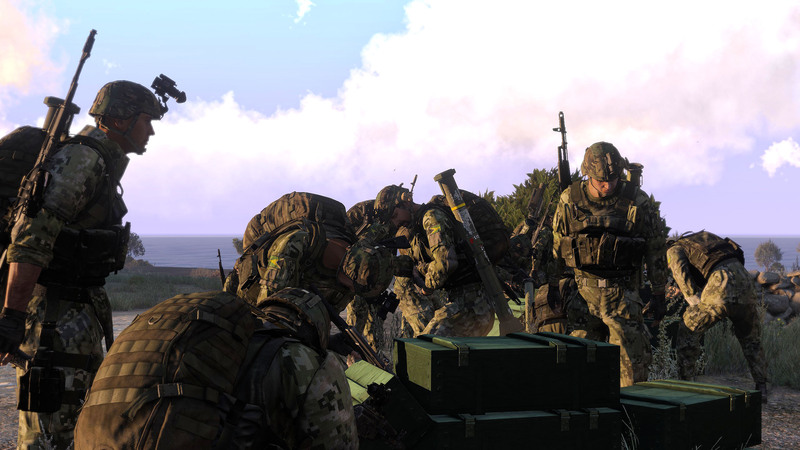 A small island near Podagorsk had been occupied by enemy rapid deployment forces, and detachment Kyllikki was sent to destroy these hostiles. 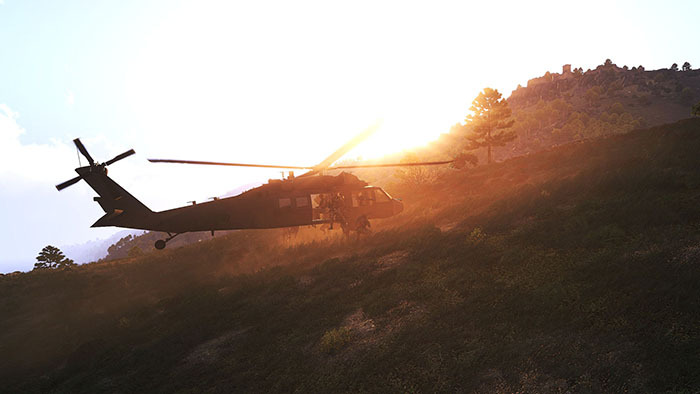 Transported to the battle by two helicopters, the LDDK managed to surprise the enemy. After a short and fierce engagement, all the hostiles were neutralized. 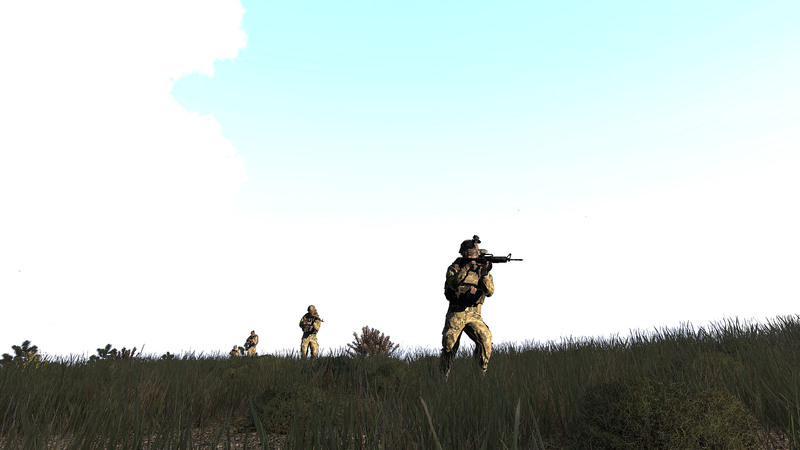 After the long day of training, Local Defence Detachment Kyllikki was ready for airborne operations. 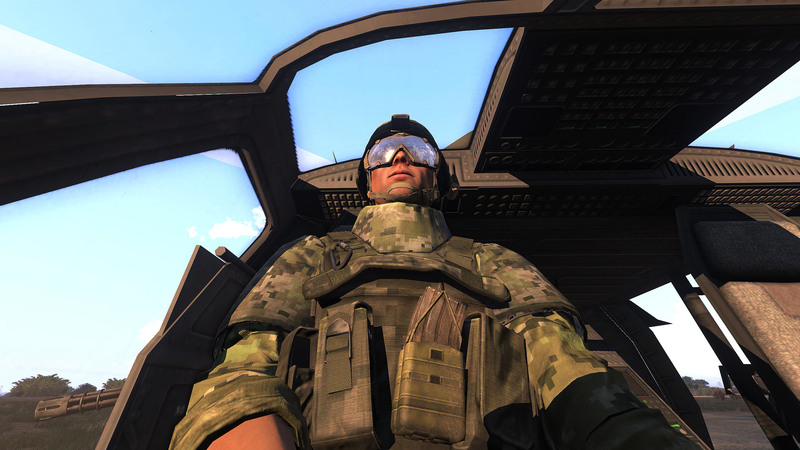 In the series with short summaries about the battles LDDK has faces, this time we are going to relive the chain of events that took place on 14 December 2014. The soldiers of Local Defence Detachment Kyllikki were about to leave their beloved garrison behind for a Christmas break, when a sudden unpleasant surprise caused by an enemy assault forced the detachment to take defensive positions once more before the holidays. The enemy started its assault with two reconnaissance BMP-2s. 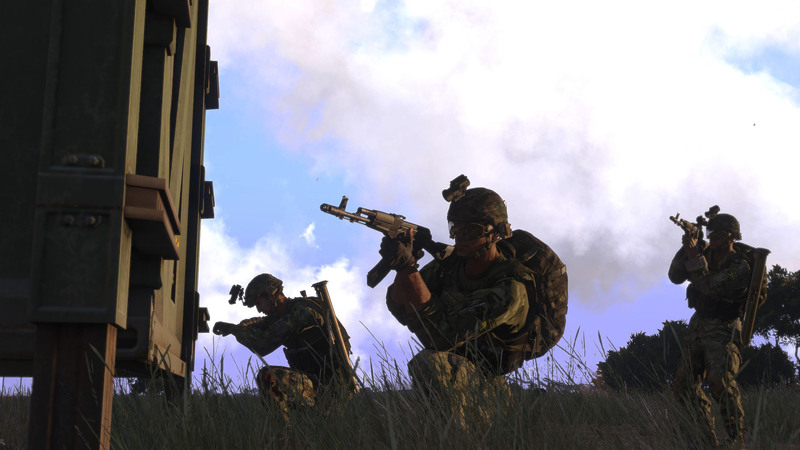 Slowly but surely more mechanized enemy forces started to manoeuvre towards the city of Novy Sobor where the men of LDDK had put up their defences. 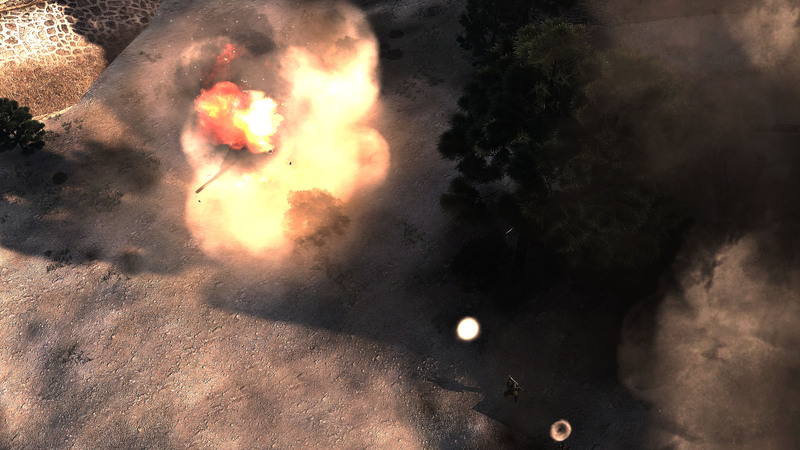 In a brief encounter, the first wave of enemy attack was defeated by LDDK forces. Leaving lots of destroyed infantry and BMP-2 tanks behind, the enemy had to regroup and try again with a bigger force. The first few breakthrough attempts having failed, the enemy tried to flank the defensive force with two BTR-90 armoured fighting vehicles. Causing only minimal casualties to the detachment, the enemy was pushed back yet again. Finally, after a long battle, it seemed like the enemy had found holiday spirit after a long persuasion by the LDDK forces. The enemy was defeated, and the brave soldiers of LDDK had now deserved their annual holidays. The detachment was now relieved of duty for Christmas, only to continue fighting again on 18 January 2015. LDDK wishes everyone a very Happy New Year 2015!